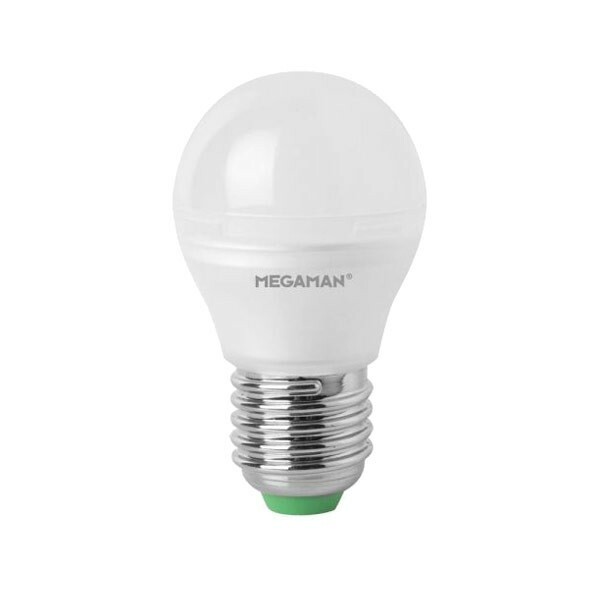 This 6W Megaman golf ball bulb is fully dimmable, has a frosted opal appearance and a standard Edison screw base fitting. It is from Megaman’s dim to warm range making it the perfect energy saving alternative for domestic use. Megaman’s dim to warm range is designed to mimic the characteristics of dimming an incandescent lamp, where the colour temperature drops as the light is dimmed. As standard this bulb emits a very warm white light at 2700 kelvin but when dimmed down the colour temperature changes to an almost amber glow of 1800 kelvin.